Auralia Weight Loss Clinic is a state of the art medical facility which specialises in Gastric balloon and gastric band and gastric sleeve surgery in Ireland. Not only are gastric balloon, gastric band and gastric sleeve surgeries carried out within our facility, we also provide patients with the highest levels of long term after-care in order to ensure that they achieve their weight loss goals in a safe and appropriate manner whilst providing them with the highest possible levels of motivation and support. Our entire weight loss team has extensive experience within the weight loss, gastric balloon, gastric band, gastric sleeve, exercise and nutritional industries. Many members of our team have previously struggled with their own weight or have assisted their family members with their weight loss through our surgical weight loss programs. As a result of this, we believe our team is far more passionate and enthusiastic about their roles than in any other weight loss clinic. This is clearly evident within our weight loss results from our gastric balloon, gastric band and gastric sleeve patients. Our average weight loss per year exceeds national and international expectations for all of our procedures. 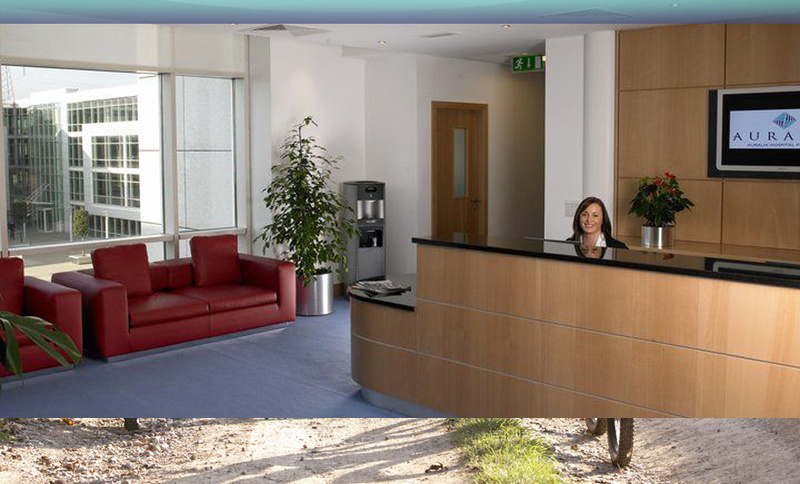 Our weight loss clinic is a CHKS, ISO and NTPF fully accredited medical facility within Ireland which provides both the patient and the clinic user with a distinct advantage in treatments and facilities from the main reception area right through to the consultation suites and the operating theatres. We believe that providing patients with this high level of care right from the beginning will greatly aid them in their journey long term. The weight loss clinic has been designed and built to meet and exceed both national and international design standards for medical facilities including the Health Text Memorandum and CEN standards. All equipment which is used within the weight loss clinic also exceeds national and international rules for medical devices and medically used rooms. All of these combine to provide a safe, professional and efficient patient treatment environment. The weight loss clinic includes a spacious main reception area with a central check in point along with several gastric balloon and gastric band consultation suites. All gastric balloon and gastric band procedures are carried out within the weight loss clinic in either of our two spacious state of the art positive pressure HEPA filtered operating theatres complete with ceiling mount operating dual lights, anaesthetic pendants, support equipment, isolated power supplies, IS340 and HTM compliant surfaces and services, medical gasses compliant to HTM 2022 and much more. The weight loss clinic�s operating theatres are serviced by a dedicated induction room and scrub area, centrally located and abutting each operating theatre with direct access. The same high levels of equipping and services have been reflected throughout the induction and scrub areas within the weight loss clinic. The main recovery area is a six bedded unit, including elevated needs beds, with central nurse's station. Each bedside is equipped with a dedicated Nurse Call / Assistance button, power outlets and patient controlled lighting to augment ambient lighting. Finishes are to the highest standard providing a safe, secure and monitored recover area for the post operative patient. Instrument Sterilisation services are conducted on site within the weight loss clinic using a dedicated sterilisation facility. Instrument washers and Autoclaves are installed to meeting the rigid CEN standards and operated in keeping with best practices.